East and safe carrying of board materials. 80kg load capacity. 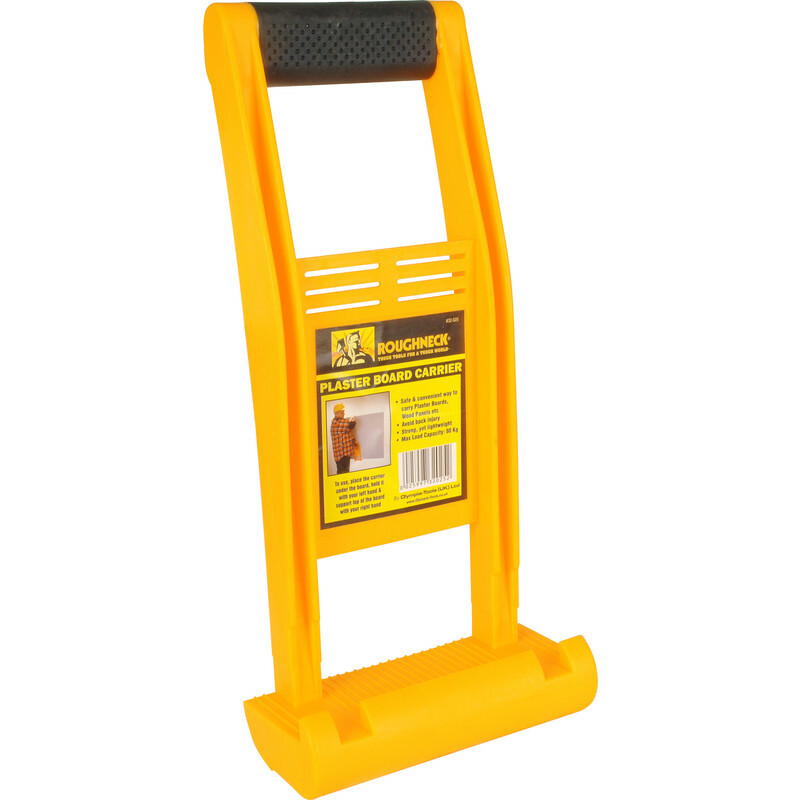 Roughneck Plasterboard Carrier is rated 4.6 out of 5 by 9. Rated 4 out of 5 by Johnny b from Simple but effective carry handle Bought to Carry 8 x 4 plaster board sheets, the plaster board carrier made the job much easier. Should also be able to Carry other boards too. Rated 4 out of 5 by Malc_b from Useful bit of kit A bit pricey for what it is maybe but a useful bit of kit. I have 2 for a 2 person carry as it is so much easier to carry a board that way, especially if you have a lot of boards to carry. Rated 5 out of 5 by Stuie from Great tool perfect for the job Great tool at a great price. It does exactly what it says on the advert. No sheet to awkward to handle up or down stairs or round corners. Rated 5 out of 5 by Arrr from Great product Makes board carrying much easier and a lot less painful. Cheaper than eBay as well. Rated 4 out of 5 by Rockstar from Board carrier Makes it easy and comfortable to carry large sheets.